The Family Court of Philadelphia building at 15th and Arch streets. In the aftermath of the country's family separation crisis at the country's border, pediatricians, child-development scholars, and parents have all raised public consciousness of the long-term negative impact that separation is likely to have on a child. I see this as an opportunity for us to address how we treat children here in Philadelphia so that we can find a better way to care for young people split from their families – particularly those living in poverty. As a legal aid attorney for the last 20 years in Philadelphia, I have witnessed this firsthand. I have seen countless parents forced to wait months to have any contact with their child. One prevalent example is abusive partners using child separation as a tactic to exert control over their partners and their relationship. Combine this with the fact that unless parents have a custody order in effect, Philadelphia police will not assist either parent, unless they conclude that the child is in extreme imminent physical harm. In these situations, the parent is told to go to Family Court and file for custody. Because non-access to a child is not considered an emergency in Philadelphia, parents are given a court date, often months away. Parents whose children are involved in the dependency system and are at risk of being placed in foster care receive a court-appointed attorney. Many of these parents are represented by extremely qualified and dedicated attorneys at legal aid organizations, including Community Legal Services here in Philadelphia. But this is not true for poor people who are unable to afford an attorney in custody cases, as well as in protection-from-abuse cases and support cases. In Philadelphia, about 85 percent of parents and caregivers in these cases must represent themselves, an extremely daunting task for anyone, especially those who are impoverished or survivors of domestic violence or sexual assault. Civil legal aid is available for some, but a dire lack of resources and funding means only a small fraction of those in need receive representation. The deep poverty that so many Philadelphians are facing is a humanitarian crisis. Philadelphia has the highest per-capita rate of children being placed in foster care of any major city in the country. At any given time, there are about 6,000 children in foster care in Philadelphia. Too often, children are removed from their homes because their parents or caregivers are poor. They don't have adequate housing or food in their home, they don't have heat or gas, or the water has been shut off, or they can't afford adequate child care. Children are removed from homes by child-protective services, sometimes to be placed with family members, often with strangers. These things don't happen to families with stable incomes and resources. 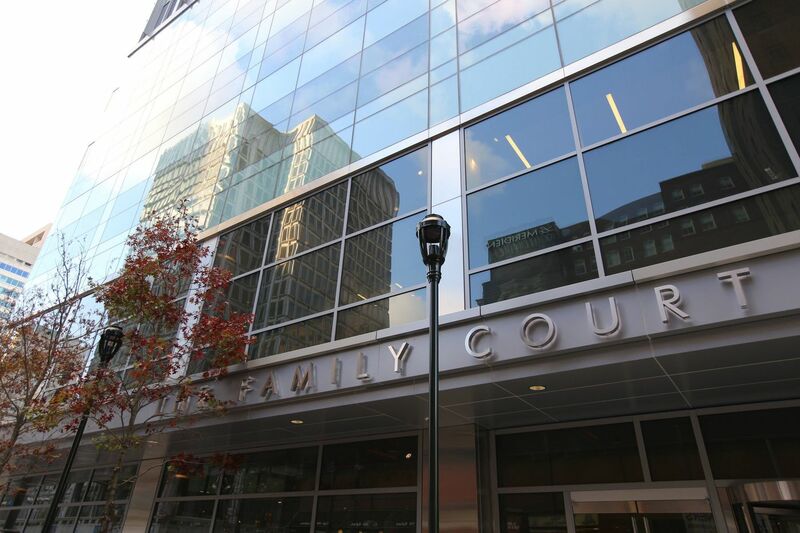 It has become increasingly clear that Philadelphia's Family Court is under-resourced and plagued with delays in custody cases. But solutions cannot happen in the court alone. City agencies with the ability to make real change must come together to solve these problems, and we must prioritize civil legal aid as a fundamental need for those in familial crises. The solution must include not only advocates and the court but also the Philadelphia Police Department, Sheriff's Office, and Philadelphia's child-protective services agency (the Department of Human Services). And we all must pay attention to the damage being done to our city's most precious resource, our children. Susan Pearlstein is supervising attorney of the Family Law Unit at Philadelphia Legal Assistance.